Impact Circle is an ongoing series on key development issues and perspectives on how our social challenges are being addressed. 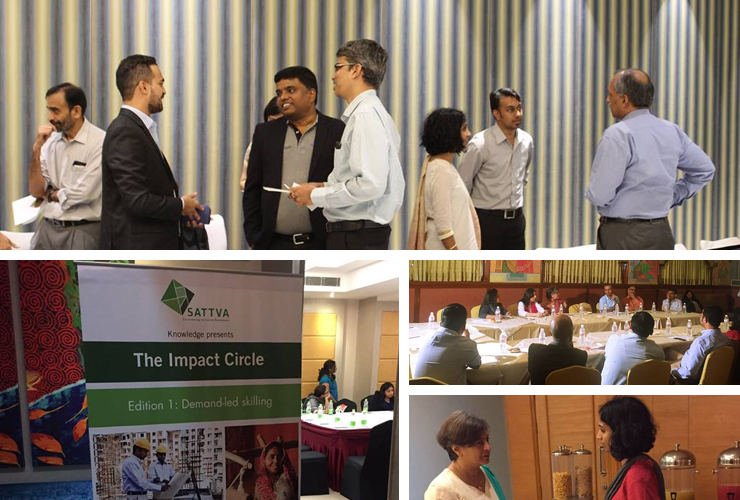 Sattva’s objective in organising the Impact Circle is to create spaces for active dialogue that could lead to innovation and change in the ecosystem. We have organised 3 editions – on Demand-led Skilling, on Employee Volunteering and on Assessments – with events in Bangalore, Mumbai and Delhi on each of these topics.